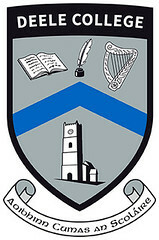 All classes in Deele College have a class teacher assigned to them. Students meet with this teacher every morning for roll call as well as preparation for the day ahead. Uniform is checked and notes are checked concerning absenteeism. This is also the forum where students can make known their concerns to their class teacher. Restorative practices are used throughout the college when dealing with any levels of disagreement or conflict. Everyone gets the chance to be listened to and everyone gets the chance to be heard. We do not judge individuals.